How many items from Burger King do you remember getting that are no longer available? From food items to promotional items, to those crowns kids had to have… Burger King was just way better in the ’80s and ’90s! Even the 2000s had some items we wish would return! Do you agree? There are so many arguments on which fast food burger joint is the best, but if you love Burger King you’ll want to reminisce about this list. Check out this list of vintage Burger King items and see how many you had (or perhaps still do!). No breakfast at Burger King was complete without those delicious mini cinnamon rolls. They were ooey, gooey and so tiny. They came in a pack of four mini cinnamon rolls and boy were they delicious. The next two items may be from the 2000s, but that doesn’t make us miss them any less! Do you remember this delicious cupcake shake with sprinkles on top? It was so good! For a while, Burger King offered a box of french fries with cheesy seasoning. 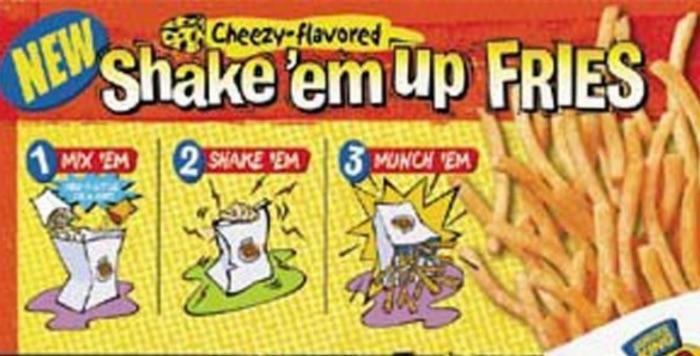 You shook the box to give the fries a new flavor. They were interesting, but they didn’t taste as good as regular fries. For a while, Burger King offered their famous chicken nuggets in the shape of a crown. Now they offer regular chicken nuggets, chicken tenders, and chicken fries. Which shape do you prefer? Back when you could smoke in restaurants, many of them had ashtrays on the tables. Do you remember seeing the Burger King ashtrays when you visited one of their locations? Read on to the NEXT page for even more Burger King items you won’t find anymore! The post 10 Reasons Burger King Was Way Better Back In The Day appeared first on Do You Remember?.